General Hospital (GH) spoilers tease that some recent tweets have sparked fears for many GH viewers that Maurice Benard is leaving GH and Sonny Corinthos is finished. 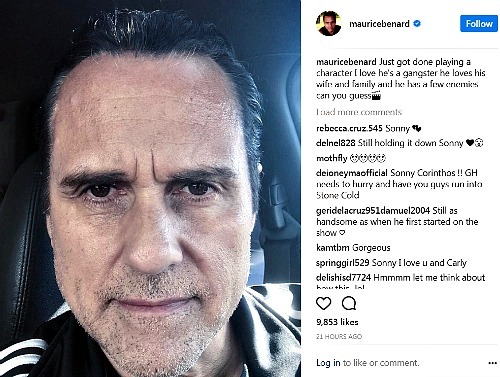 Maurice Benard (Sonny Corinthos) linked a tweet to an Instagram post that said, “Just got done playing a character I love he’s a gangster he loves his wife and family and he has a few enemies can you guess.” Some people thought that Benard might be leaving Port Charles behind. One concerned fan replied that she would miss Benard and thanked him for his years on GH. Benard thanked that fan, which led to even more fears. However, it looks like this is all a big misunderstanding. Benard was most likely just wrapping up his scenes for the day. He included a clapperboard emoji, so that supports the idea that he was simply finishing a take. Benard has been open about his excitement over Steve Burton’s (ex-Jason Morgan, Patient Six) return. General Hospital spoilers say their characters have a great storyline coming up. Sonny and classic Jason finally have a chance to be a dynamic duo again. Why would Benard choose now to walk away? We’re just not buying that. Laura Wright also quoted Maurice Benard’s tweet and said “I know I know!” She added some fun emojis, so she seems to be celebrating the great work they did. Wright obviously wasn’t upset about losing her scene partner. She didn’t congratulate him on his run or say she would miss him. 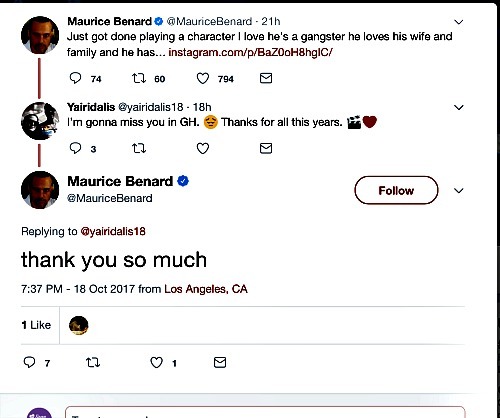 If Benard ever leaves General Hospital, we know he’d be more clear about it! An exclusive interview somewhere might even be the way to go. For now, it sounds like Sonny will stay right in Port Charles where he belongs! GH fans are excited to see what’s in store with the twin Jason drama, so it’s good that Sonny will still be in town. 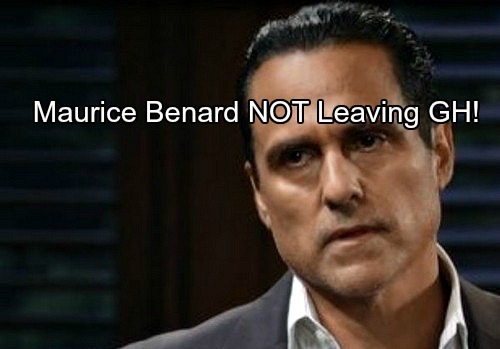 Are you glad that Sonny and Maurice Benard seem to be staying put? We’ll give you updates as other General Hospital news comes in. Stick with the ABC soap and don’t forget to check CDL often for the latest General Hospital spoilers, updates and news.